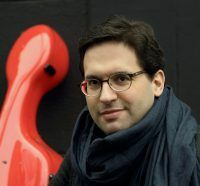 The Staatstheater Mainz starts off the season on August 31st with a musical highlight: Christian Poltéra will present one of the most beloved cello concertos, Dvořák‘s Cello Concerto in B minor op. 104, together with the Philharmonisches Staatsorchester Mainz, directed by Ariana Matiakh. Afflicted by homesickness, Dvořák wrote this piece in the years 1894/95 in the United States, musically bridging the gap between the old and the new world. Poltéra knows how to lead through the emotional depths of this piece while displaying an ease, that bestows his interpretation with a virtuoso elegance. His technical precision and charisma make Poltéra capture audiences all around the globe.